Buckman Coffee Factory Co-Founder Cassy Gleason. All photos courtesy of Buckman Coffee Factory. 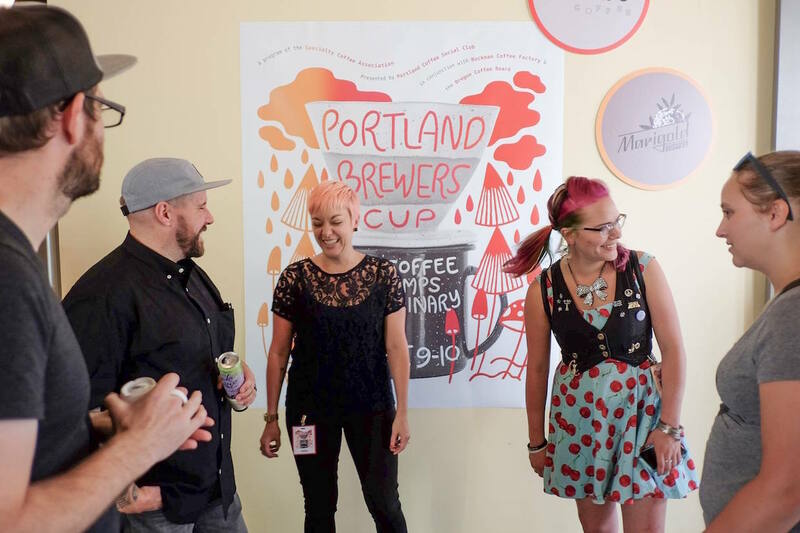 The growing number of shared coffee roasting facilities in urban centers such as New York City, Portland and the San Francisco Bay Area in recent years has reshaped the landscape and leveled the playing fields for roasters of specialty coffee. 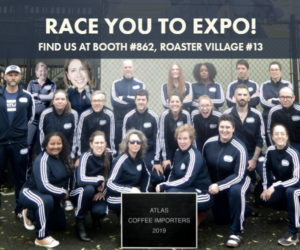 New roasting companies are starting up with greater chances for success thanks to the lower overhead of the shared facility option; more cafes are finding cost-effective ways of bringing roasting in-house; and even among those that try and then back away from the practice, it’s a cost-effective experiment that renews their appreciation for skilled and dedicated roasting professionals. Gleason and her sister Joey Gleason also run a roasting company of their own, Marigold Coffee, which is currently coming up to its 10th anniversary and has reportedly experienced a bit of a growth spurt in the past year. Gleason said cafe and grocery wholesale is on the rise, the company’s sole cafe has gotten homier with more decorative plants and a fuller food menu, and a new partnership with Portland nonprofit homeless community newspaper Street Roots directs proceeds from an exclusive line of coffees to the support of the organization’s efforts in providing employment and community to individuals experiencing homelessness. The Buckman facility, meanwhile, has since 2015 succeeded in meeting its goals for the support and service of other small roasting companies. 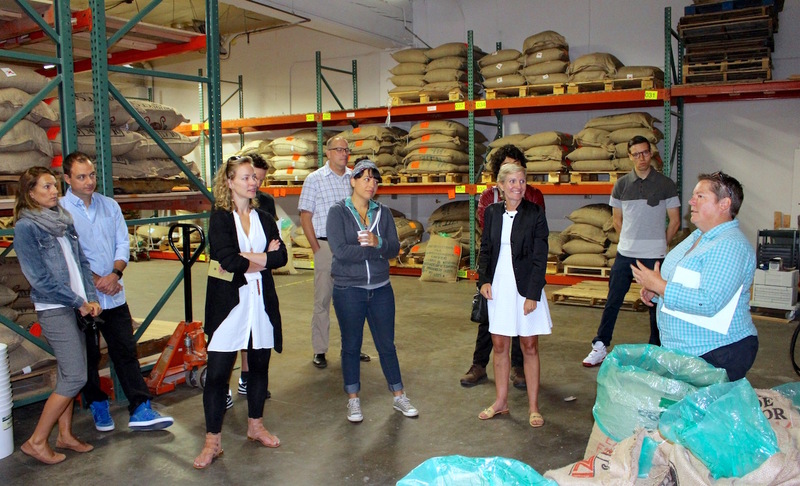 “We have over 40 roasters who roast in the space, ranging in size and frequency,” said Gleason, describing the range as running from sporadically present individual hobbyists to multi-cafe roasters hitting the factory’s Proasters twice every week. 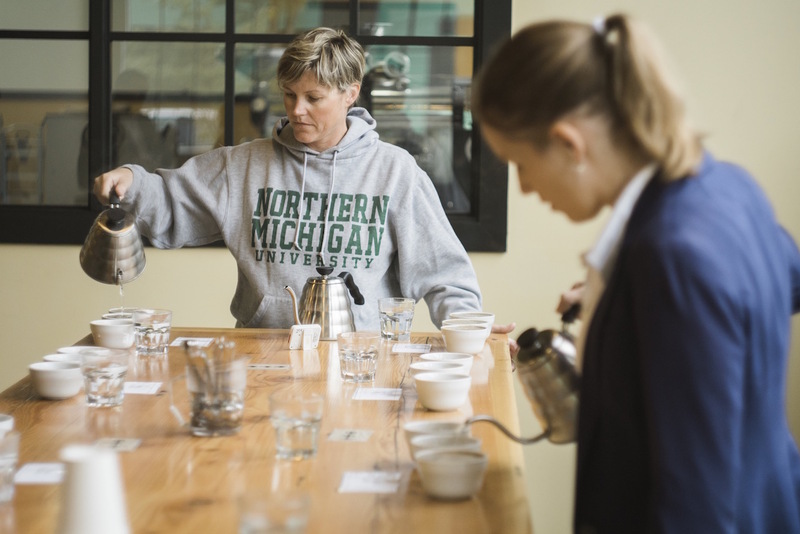 Beyond simply swelling the ranks of the local roasting community, Gleason is confident that shared facilities like the Buckman also make it both better informed and increasingly collegial and collaborative. 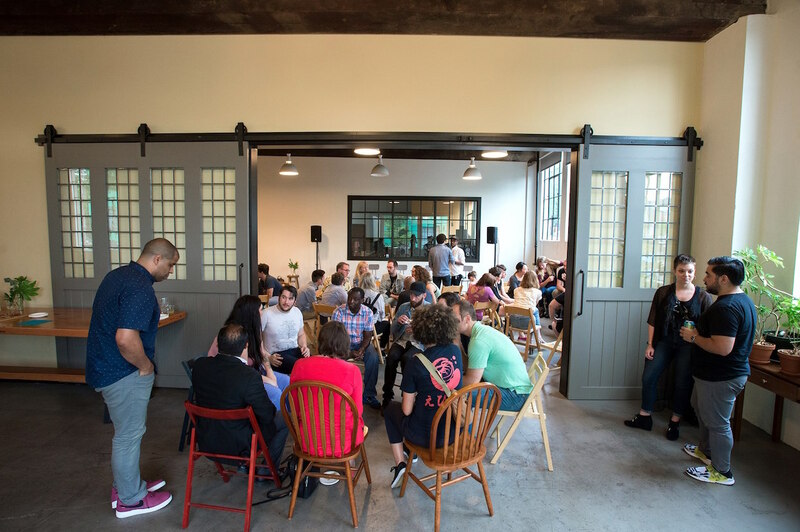 By consistently organizing and hosting events, speakers and educational programs throughout the calendar year, Buckman brings together all manner of coffee professionals — roasters, farmers, importers, baristas and more — for shared experiences that build skills and knowledge bases. 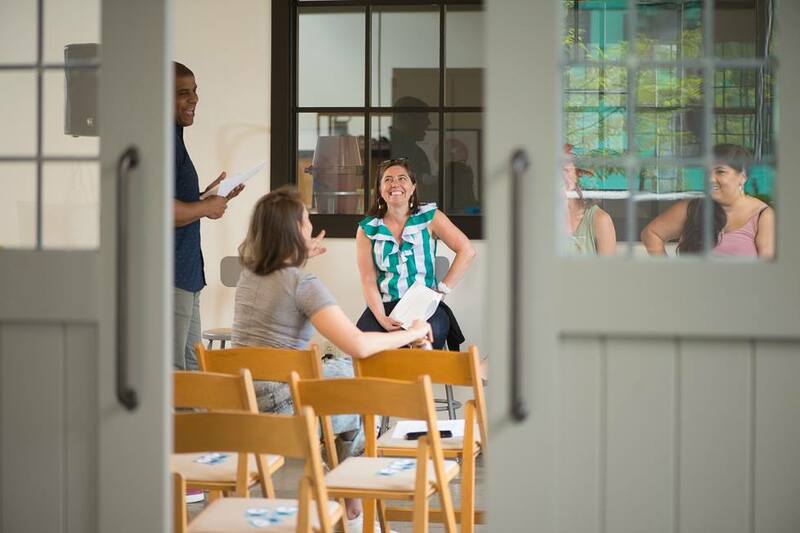 The social component alone has a significant impact on the community as well, described by Gleason as a means of breaking down some of the “mystery and secrecy” associated with the profession. 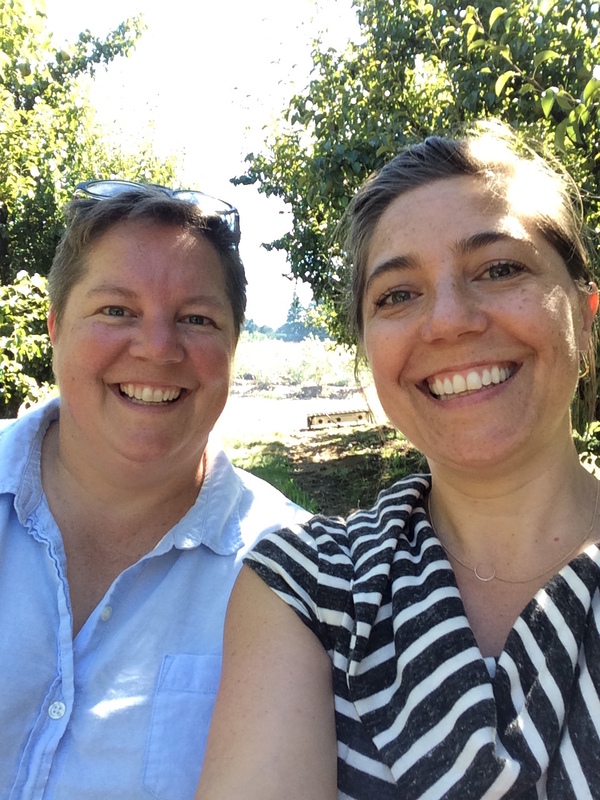 Daily Coffee News took some time to learn more from Cassy Gleason about what goes on in a shared roasting facility, and how she feels about other trends in the industry that are breaking down the barriers to entry. Daily Coffee News: Do you feel like Buckman hosts a full, motley all-over-the-place cross-section of roasting and branding styles, or are there trends you’ve noticed that seem to run strong even under your roof? CG: All over the place! Truly. We have people who roast very dark; we have people who keep it light; and others who are doing lots of experimental styles. The cool thing about the Proaster is that it is very flexible. So whatever your style is, you can test its limit with this roaster. It’s very responsive. At SCA this year, two different ventless electric shop roasters were revealed, both connected to systems that source greens and set profiles, essentially promising plug-and-play in-house roasting. If things like this really took off, do you think it would help or be a challenge to the shared roastery model? It’s hard to predict the future of roasting… but our experience for the last few years has shown that people REALLY like the community that they find here. So while these electric roasters might be very useful for the hobby roaster and for sample roasting — whether you’re an importer or farmer — I think the benefits of the education and camaraderie here are hard to replace. The financial, social and climate change challenges that coffee growers are facing and the lack of information (or concern) that most of us coffee drinkers have for what they are facing. What would you be doing if you weren’t for coffee? Some type of community development work which is what I was doing previous to coffee. Actually, coffee is community development, just in another form.